Thai cookery lessons every day at our Thai Cookery School. Learn how to make Green curry, Pad Thai and Papaya salad as well as many other popular Thai dishes. Chiang Mai Whitewater Rafting trip. International standard rafting - daily trips from June - February. Elephant Tours around Chiang Mai - visiting elephant camps and elephant riding. 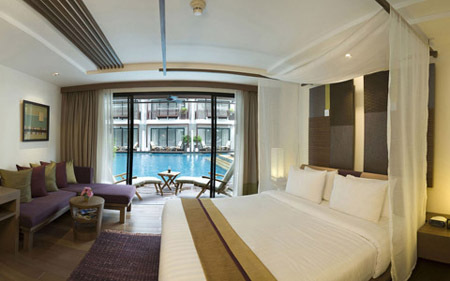 Rarinjinda Wellness Spa Resort, a boutique resort situated in the heart of Chiang Mai City, offers four categories of 35 luxurious deluxe and suite rooms, embellished and decorated with modern setting such as 26" or 32" LCD TV. All rooms are decked with private veranda and ceiling fans overlooking a swimming pool with the Majestic Doi Suthep Mountain and Ping River views (selected rooms). One of the best venues to witness the most stunning view of Lanna rich cultural festivities and celebrations. Rooms - Total of 35 rooms. 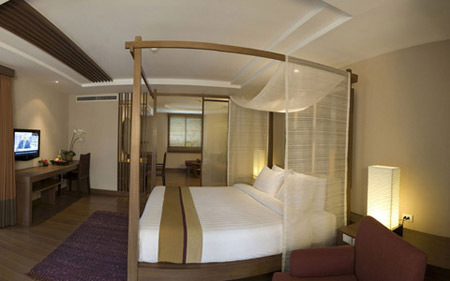 22 (46sqm) deluxe rooms, 7 Deluxe pool access rooms (53sqm), 5 Wellness suites (93sqm) and 1 Rarinjinda Villa (164sqm). RarinJinda Wellness Spa’s state-of-the-art facilities include Indoor Heated Hydrotherapy Pool, Outdoor Swimming Pool, Fitness Center, Yoga & Aerobics Studio, Hydrotherapy Tub, Vichy Shower, Infrared Sauna, Herbal Rainforest Steam Sauna, and Whirlpool with Chromo therapy. 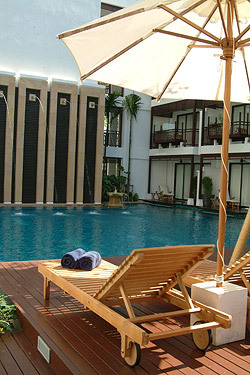 The Rarinjinda Wellness Spa Resort is a boutique hotel with full spa facilities, situated in the centre of Chiang Mai on the east side of the river. The hotel is located near the banks of the River Ping, on the east bank. A 5 min walk to the Night Bazaar and a 10 min walk to Tapae Gate and the Sunday walking street market. Rates include taxes as well as daily Breakfast. Children under 12 yrs can stay free, if no extra bedding required - breakfast for first child is complimentary and for second child is half of menu price. Maximum of 2 children per room. 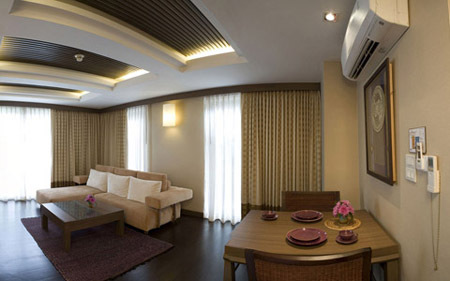 All rooms are assigned as non-smoking rooms. If there are any further details about rooms required please write here. Please state here whether double or twin rooms required. Pick up is available 400 /trip (one way - max. 3 persons). Please fill in arrival details if you have chosen hotel pick service. You are also fully covered under our insurance with AIG Thailand for up to 100,000Bt in case of injury caused by accident. Rafting Tours around Chiang Mai - both whitewater and bamboo rafting. Chiang Mai Day Tours that see more than the usual day tour. 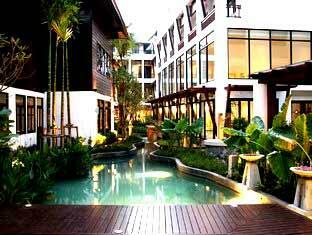 Chiang Mai Hotels - choose your accommodation in Chiang Mai. We provide a pick up service from airport or train station, directly to the hotel. Choose from a wide range of hotels; from budget to luxury, from city centre to rustic resort, from shiny modern to traditional Lanna charm. Something to suit all tastes. 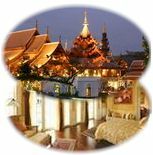 Chiang Mai Touring Trips - choose from one of our custom designed Chiang Mai Touring Trips. We have put together packages of accommodation and tours. We pick you up from the airport or train station and take you back at the end of your trip. 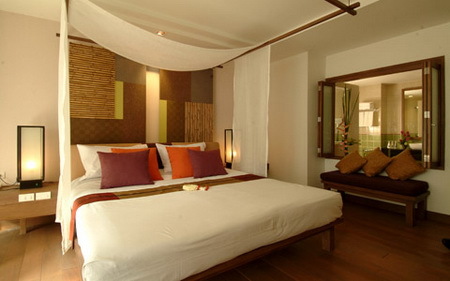 Simplify your holiday in Chiang Mai - all you have to do is enjoy and relax. 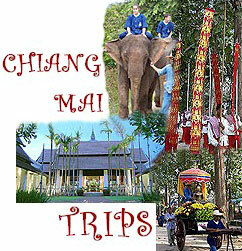 Choose from our wide range of hotels and tours, fit them together to make your ideal Chiang Mai itinerary. Copyright © 1998-2009 Wayfarers Travel All rights reserved.